What a difference two years can make. In September 2013 John Nelson, Chairman of the Lloyd’s of London insurance and reinsurance market, had warned that mismanagement of third-party capital in re/insurance could lead to “systemic” issues in the market. Yesterday, Nelson was quoted in the Financial Times discussing the launch of the newly planned Lloyd’s market loss and performance Index, acknowledging that insurance risk is becoming an asset class and extolling the virtues of this new or alternative reinsurance capital. In the past Nelson has been cautious on alternative capital, the growth of insurance-linked securities (ILS) and the potential for ILS having a role in the Lloyd’s market. His commentary clearly shows that he and Lloyd’s saw the opportunity to harness ILS and the capital markets, but that they wanted to approach it in a controlled manner, so as not to introduce undue risks to the market. Also in September 2013, Nelson explained that “new forms of capital can help the commercial insurance market grow from $600bn to $2tn by 2025.” That was just a week after his systemic risk warning, demonstrating that he clearly saw the benefits of a lower cost of capital for re/insurance capacity, if introduced in the right manner. In January 2014, Nelson stated in an interview that the changing reinsurance market dynamic created by the influx of new capital from non-traditional sources presented a major challenge for the Lloyd’s market, but that he remained optimistic about the future. Also in March 2014, Nelson discussed the fact that alternative capital and the inflow of capital market money into reinsurance was pressuring the Lloyd’s market and that this looked set to continue. He again noted the need for the market to evolve to meet the challenges it was facing. That was the first time Nelson gave a clear message that Lloyd’s was ready to move with the times and embrace the alternative capital and ILS trend, although it again expressed caution to protect what Lloyd’s means as a business. Then in April 2014 the new Lloyd’s strategic plan revealed the full scope of the change of direction that the market wanted to take, to try to ensure its future by embracing ILS and alternative capital in ways that would sustain its business model. Reinsurance convergence was listed as one of six key strategic priorities in the plan. The plan explained the importance of embracing this new capital in a few key sentences. Interestingly the plan also expressed the importance of indemnity as key to Lloyd’s market operations, a particularly interesting statement given the launch of the Index yesterday which promises the ability to create index triggers based on Lloyd’s market and line of business losses. 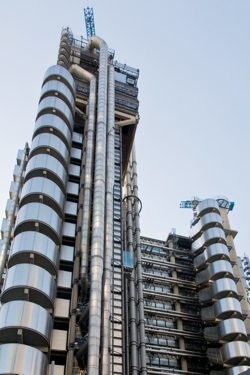 However the plan did also explain that Lloyd’s wanted to encourage the use of new products within the market, rather than outside, which could explain the motivation for the launch somewhat. Then in May 2014, CEO Inga Beale explained that while Lloyd’s wanted to embrace reinsurance convergence and new capital sources, it didn’t intend to open its doors to every capital provider showing interest straight away. She also explained the importance that new capital brought new business with it; “We’re out there looking to entice new capital in but at the same time we want them to be bringing something to the table. So if it’s just capital wanting to come into Lloyd’s that cannot bring new business streams in, or new talent pools in, we’re not really opening our doors to them. Fast forward again to September 2015 and it was revealed that Lloyd’s was actively working on structures to welcome alternative capital into the insurance and reinsurance market. Then in November 2015, the UK government began to put in place the legislative and regulatory framework for conducting ILS business in London, harnessing the work of the London Market Group and publishing a draft amendment to the financial service bill that would allow for a “transformer” special purpose insurance vehicle or structure. One interesting piece of that amendment implied that Lloyd’s could have a role in oversight, of some description, to these transformer vehicles. As we wrote at the time, that perhaps suggests that it may be possible to establish one of these vehicles specifically to access risks from the Lloyd’s market and transform them out to ILS investors. While a warning, it was a far cry from the systemic label he gave to alternative capital just over two years earlier. And so that brings us right up to date to December 2015. You can clearly see the journey that Lloyd’s of London has been on, over the last couple of years, as it first came to terms with the threat of ILS and alternative capital and subsequently worked to embrace it and accept it into the market. Now, with the announcement yesterday that Lloyd’s is to launch its Lloyd’s Index in 2016, providing an index for diversified insurance risks, featuring loss ratios and data on insurance market performance, which can be used in market-loss type products such as ILW’s and the like, the market has made huge progress. What was a staunch defense of the indemnity protection appears to have weakened considerably, with the Index offering the ability to create loss triggers based on Lloyd’s market or line of business loss ratios and performance. 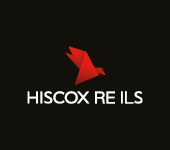 Clearly that creates the opportunity to hedge more effectively and transfer risks using derivative type structures directly to capital market and ILS investors and fund managers. Perhaps now Lloyd’s has found the “right structure” that Nelson believes can introduce alternative capital into the market in a sustainable, controlled and helpful manner. It’s also telling that Nelson acknowledges the fact that ILS and alternative capital from third-party investors can reduce the cost of capital in the industry. He says “to” the industry, but of course it is forcing change across the entire insurance and reinsurance market and the industry itself to become more efficient. As cost of capacity and capital become increasingly important to all parties, pushing a raft of initiatives to lower expenses, raise efficiencies, grow scale and reach, take frictional or superfluous costs out of the value-chain by getting closer to the source of risk, reduce spend on reinsurance, extract more premium value from business underwritten and bring efficient capital within the business model. People have been seeing insurance, reinsurance and essentially risk as an asset class for over a decade, but now this has expanded into a force that even the largest incumbents in traditional quarters cannot ignore. It seems Lloyd’s is now fully ready to acknowledge the enormous change that has swept through insurance and reinsurance and the fact that this is continuing, perhaps only really just having begun. The Lloyd’s market is responding in a positive manner, as evidenced by the change in tone over recent years, the launch of the Index and its work with the LMG. It is going to be fascinating to see how this develops, alongside the initiatives to bring more ILS business to London.